The government will run out of funding at the end of the day Friday. A massive $US1.3 trillion spending bill to avoid a shutdown is in the works. But Congress is struggling to get its act together, with the House already pushing back the bill’s release and a planned vote. There are still ongoing debates over immigration, infrastructure, and gun-related provisions in the bill. With the clock ticking on the next government shutdown deadline, Congress is rushing to get a massive $US1.3 trillion spending bill passed in time to avoid a third lapse in funding this calendar year. Despite the stated desire from leaders of both parties to avoid overstepping the Friday night deadline, they have not yet released a huge omnibus spending bill. And the timeline for a vote is already slipping. 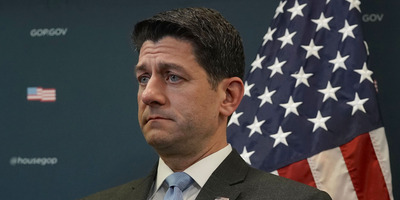 After initially planning to release the bill on Monday to secure a Wednesday vote, House Speaker Paul Ryan told Republicans in a conference meeting Wednesday that they would instead release the bill Tuesday for a planned Thursday vote. That would give the Senate just 24 hours to pass the bill with no changes and prevent a shutdown. Sen. John Cornyn, the second-highest ranking Republican senator, told reporters on Tuesday that the Senate could push the process into the weekend due to procedural delays. “It’s going to extend our week into the weekend perhaps, it just means we are going to be here into the weekend perhaps,” Cornyn said. The Texas Republican also suggested that a short-term funding bill to “keep the lights on” may be passed to ensure no interruption in funding. This would also help avoid another scenario similar to February, when Sen. Rand Paul held up a vote on the spending agreement and single-handedly forced a shutdown that lasted a few hours. Outside of procedural concerns, Cornyn also took aim at the way the negotiations on the bill were being conducted. Lawmakers from both parties are quibbling with the bill’s provisions, saying it leaves off key policy goals or includes too much new spending. Among the issues being discussed as potential additions to the legislation are funding for a tunnel between New Jersey and New York City (which President Donald Trump has threatened to block) and an immigration deal that would trade funding for a border wall for an extension of the Deferred Action for Childhood Arrivals, or DACA, program. “It sounds like the Democrats in the Senate are getting all kinds of wins in terms of riders,” Rep. Mark Meadows, chair of the hardline conservative House Freedom Caucus, told Business Insider. A GOP aide told Business Insider that Meadow’s assertion that the bill contained no wins for conservatives was “ridiculous” and a short-term deal to extend the deadline through the weekend was unlikely. Senate Minority Leader Chuck Schumer said during a speech on the Senate floor on Tuesday that the bill would have issues that either side would dislike but were necessary to reach a compromise. 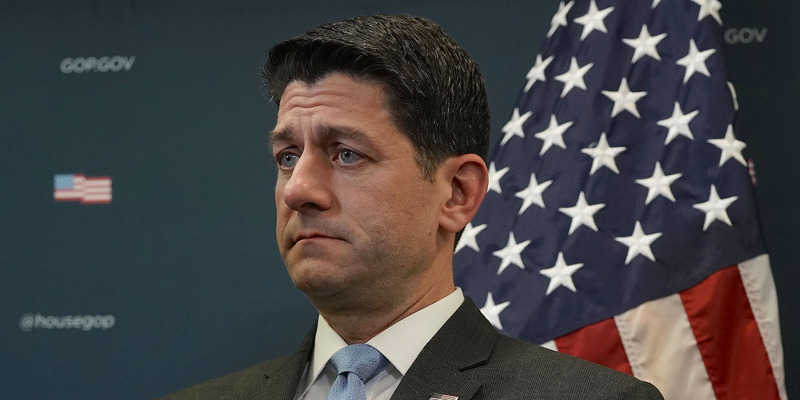 Other items that appear to also be on the cutting-room floor are an Obamacare stabilisation package – seemingly derailed over language regarding abortion funding – and a provision to strengthen gun background checks to the spending package.